Only 3 left! This item ships in 1-2 days. 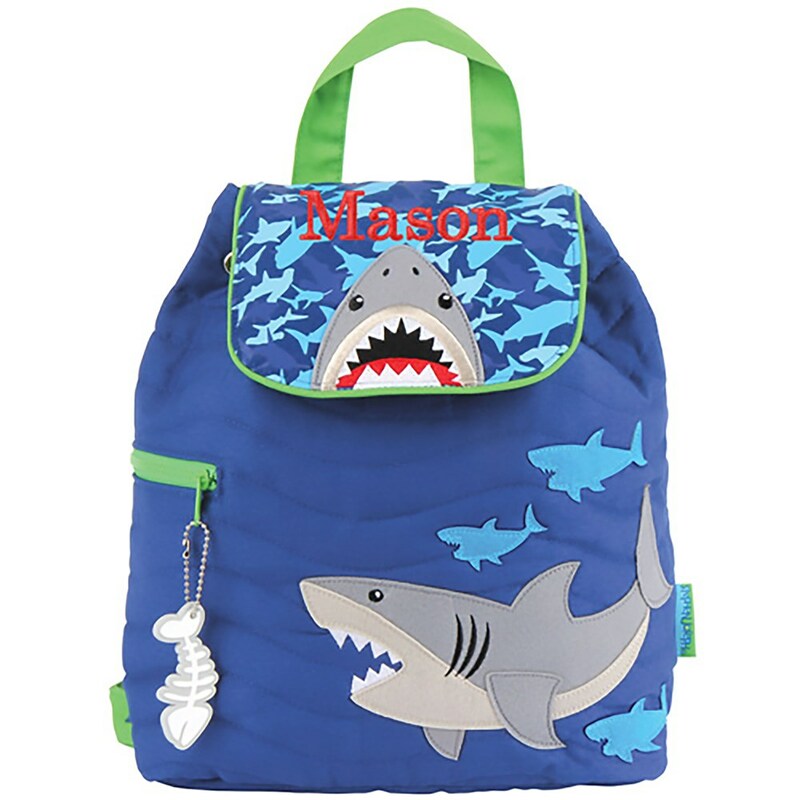 Our personalized Shark Quilted Embroidered Backpack by Stephen Joseph is perfect for your little shark lover. It’s great to carry all of his belongings anywhere he may go. Our quilted shark backpack can be embroidered with Any name in your Choice of embroidery thread color to make it extra special for your guy. Pair it with any of our other shark products, sold separately. Nice quality and very cute. Bought this for a school backpack but pretty small. Beautiful backpack. A bit smaller than anticipated but it is really cute!